They are really pretty in this photo. That’s lovely. You can see the irridescence in their feathers. And they look as though they’re having an intimate conversation discussing the artwork. More mourning doves! I love them and yes Z, they can look iridescent in sunlight. Such pretty birds. Oh Bob! 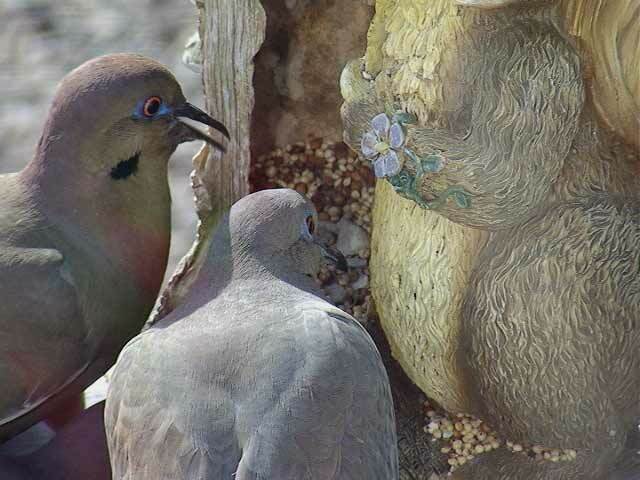 This picture of the doves is absolutely beautiful! Gorgeous pic! I love those doves.